Simba Nhivi has been linked with a move to Ngezi Platinum Stars. The forward put in a transfer request last week at CAPS United, and according to NewsDay, a deal could be completed soon after passing his medical. “Nhivi has since agreed to join Ngezi Platinum Stars. He has since had his medical examination and everything was all clear. 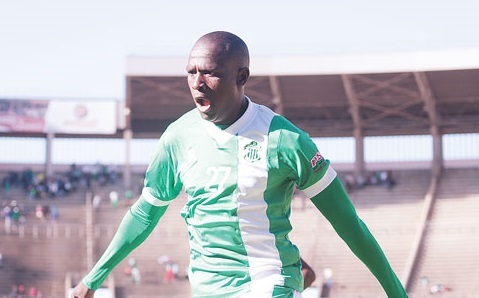 The team needed a striker following the departure of Terrence Dzvukamanja, and Nhivi was identified as the player that can bring goals,” an unnamed source told the newspaper. Meanwhile, the transfer window closes toaday and several players want out of Caps United because of poor conditions. Praise Tonha, Milton Ncube and Peter ‘Rio’ Moyo have all been linked with moves to different clubs.